I'm starting a series of interviews with Slayersword winners of 2011. The first to go is USA's Slayersword winner, Vincent Hudon. 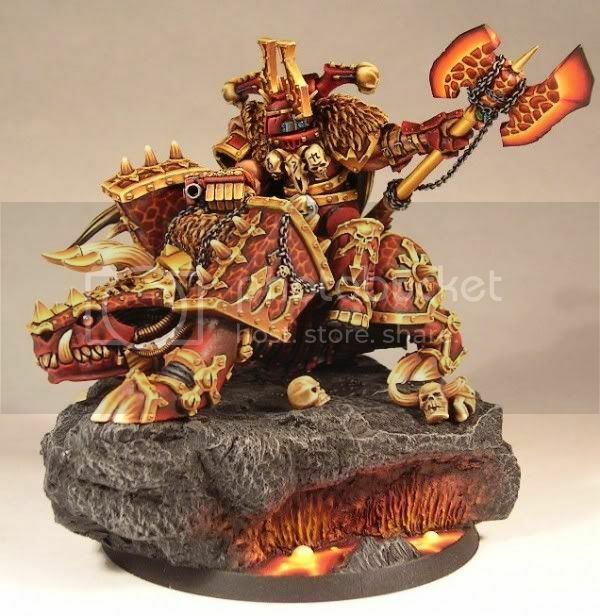 I'm sure you know about him, he's one of the classics, the author of probably the most famous Khorne Paladin on Juggernaut, also known as Magmatrax. Let's see what he has to tell us about his vision of the miniature painting world! Volomir: Vincent, you are one of my favourite painters of all time. When I started painting I used Magmatrax as the goal for what I wanted to achieve someday. 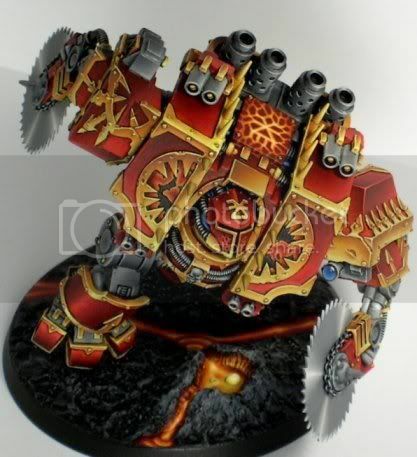 A lot of time has passed since then, but I still see Magmatrax as a classic from the past, a piece in which future generations will look back to. Talking about the past, when would you say is the moment when you started into painting miniatures seriously? Vincent: I picked up the hobby around August 2003. A work mandate required me to go work secluded in the woods away from friends and family for 2 years. I figured I needed a hobby for spare time and came upon the miniatures of GW in a game store and was intrigued. Bought myself a squad of Chaos marines and a few paint pots and painted my first miniature. Took me 20 hours but the impressed look in my fiancé’s eyes got me hooked: I decided I would paint myself an army to play. I searched the net and found many helpful websites such as Bolterandchainsword.com. There they held a small painting contest which I entered with a squad and won! From that point I became determined to find a way to paint models like the amazing stuff that was appearing over the web. 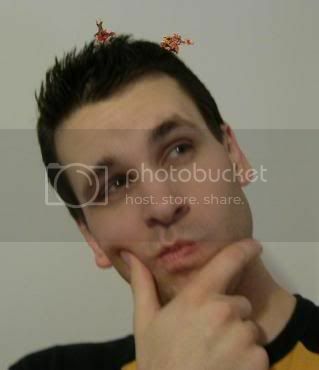 I also came upon Coolminiornot.com around that time and discovered there was a whole community of painters openly willing to answer questions and help! That is also when I learned of the Golden Demons. Being of an overambitious nature, I decided I would go all out and make the most daring project I could challenge myself with. I had 4 months until Golden Demons Toronto, Canada 2004. I loved the Juggernaut model but always felt it had more potential than the generic static posture. Those who read my first tutorial will know the rest. I converted the model, and decided to try NMM for the first time as this was a project to challenge myself. You don’t learn from performing what you already know you can achieve. You learn by raising the bar and reaching for it. So I tried, failed, tried again, read some more online, carefully observed pictures of other people’s work, until I made progress. As I painted Magmatrax, I went back numerous times to previously painted areas to further improve as my practice was bearing fruit. 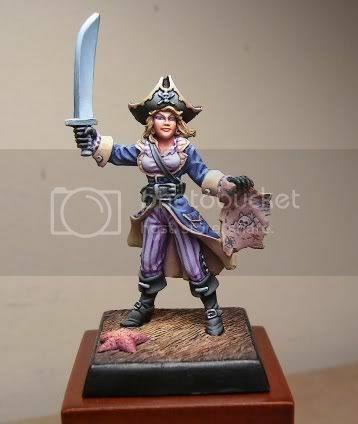 That is when I believe I became serious about painting miniatures. Volomir: At that time, a more obscure period in which internet began to flourish to gather all painters around the globe, you must have developed your techniques from somewhere. Have you learnt to paint and sculpt all by yourself, have you attended courses, or do you have some sort of personal master? Vincent: I learned mostly by observing pictures of great models online. I discovered discussion forums, first on Bolterandchainsword.com, then CMON. I spend countless hours browsing pictures of models, to this day every few months I go through CMON for all the new miniatures posted, and save to an archive the pictures of models that inspire me, sometimes it is just the posture, the way the skin was made, or the design of a weapon (your very own High Elf Flag bearer on a Lion is one of my favorite references for great ambiance and lighting as well as the overall composition of the piece). I also asked a lot of people specific questions about how they achieved such parts of their models. Just about everyone answered me, and that is how I progressed. That is also why to this day I always answer people’s questions about the hobby, even though I feel somewhat outdated, seeing how painting has progressed in the last few years. I learned from the community of painters, so I want to give back to the community what I can. Additionally, I joined a group of like-minded individual called at the time Team Montreal, which as a chance to chat and partake in a painting class performed by Jérémie Bonamant (a.k.a. Bragon). This French painter was my first exposure to advanced techniques like color, desaturation and zenithal lighting. The next year, we invited over Allan Carasco to Montreal for a similar painting class. This exposure thought me the most valuable lesson of all: there is no right way to paint a miniature, just different approaches. When you are at your beginnings in painting miniatures, this can be a frustrating statement; If only there were a clear recipe to proceed! But from this statement, I learned that improving means trying different techniques and approaches. So I pursued different challenges with my subsequent Golden Demon projects. Regardless of what the judges thought of my models, if I could learn something new on each one, then I couldn’t lose. 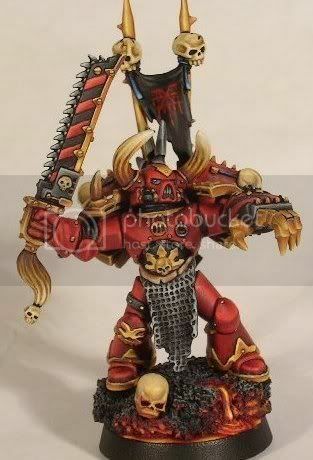 Volomir: Your NMM are an all-time reference, and your World Eaters a poster for all Khorne theme lovers. 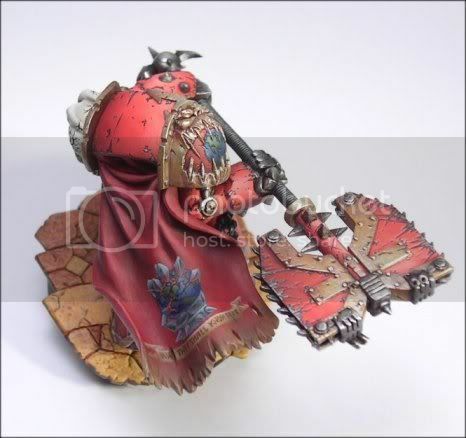 Have you finished your Khorne-Gold NMM relationship forever or will we see more pieces on this theme in the future? Vincent: Though I would caution putting so much significance on my humble work, those are mighty flattering words! I have a very large Chaos marines army, as I enjoy playing the game as much as creating models. Some are fancy, and some are simply for gaming. My projects follow my gaming needs, as every model I paint is meant to be played on the tabletop. 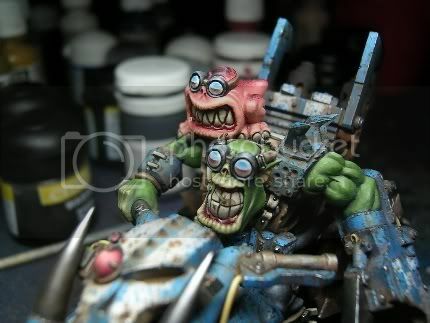 Lately, and ork army of mine needed a Warboss, hence my Biker warboss project in Chicago 2011. I have thought of doing an updated version of Magmatrax 2.0, using what I have learned since I made the original, but I am concerned that it would simply be repeating what I have already done, and challenging yourself with something new is the way to go forward for me. That being said, although my NMM tutorials may be a decent starter for someone interested in learning, they are now 7 years old and quite outdated. I have seen many painters achieve NMM far beyond my own attempts of the past and I feel somewhat …intimidated. I could certainly stand to learn a lot more about NMM. When GW releases a new army book for Chaos and Khorne inspires me once again, perhaps I will attempt another challenge back into NMM. Volomir: We see fantasy themes in all of your works, but have you ever tried historical? Do you like it? Vincent: I know that the historical scene involves professional painters and their work with light and colors can be absolutely amazing. Perhaps because these painters have been at it for many more years than the fantasy painters have? Though I admire the work they do, the realistic, historical scene holds no interest for me to work on. Why recreate everyday, realistic life, when you can create the new, imaginative and unusual? The historical setting for me restricts creativity, and it is this ability to bring imagination to physical form that passions me about the hobby. Volomir: Apart from heavily converting (and nearly full scratching like your work on Lord Graviax), have you tried completely sculpting from scratch just using wire or a mannequin? If not, do you think you will be going for that in the future? Vincent: Yes! 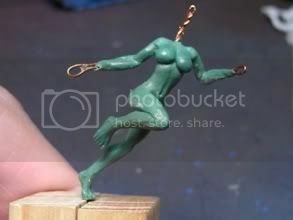 Wire frame sculpting to me is the ultimate goal, the ability to create anything with no regards for a pre-existing range of models to work from. 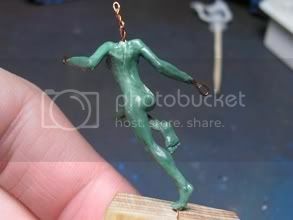 I have started sculpting on a 32mm scale wire frame and am learning as I go. I have attached a picture of my progress so far (I damaged the green base as I molded copies to practice on unfortunately). The goal is a dark elf witch elf in a running pose. Recent events in my life had me put a lot of my hobby time on pause but I hope to complete it for a future Golden Demon. Volomir: As I said, I am completely in love with Magmatrax, since always, but maybe you have a different favourite from your collection. Which do you consider is your best work so far? Volomir: Do you consider painting as a hobby or do you have any professional interest towards miniatures? Do you take commission painting jobs? Volomir: You won the Slayersword many times, in Canada and in USA. Are you planning to come to Europe to compete here? 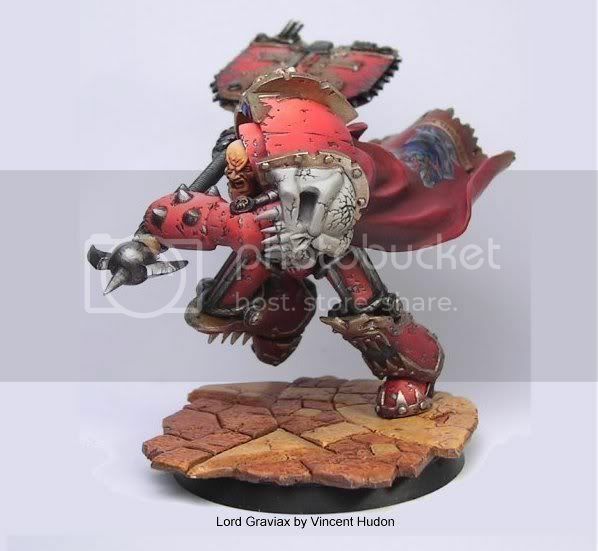 Vincent: I would like to make the trip overseas to live the experience of a European Golden Demon, friends who have been have loved the turnout of models and left terrified of the competitive level. I have a few projects in mind that would like to present for such a trip, but I still need to experiment a bit more before I attempt those projects. Perhaps in the next few years if life allows, it would be great to come over and meet with my European brethren. Volomir: Here’s a difficult question. There has been always a lot of talking about the GD painting level difference between Europe and America. Regarding what you know and see from contests abroad, do you think this is true? From your overseas point of view, how do you see the painting community in America? Vincent: Yes, a lot of arguments over this. I can’t deny that there seems to be greater quantities of top level miniatures being presented in Europe than North America. But does quantity of amazing models mean higher quality? Here in America, I have met lots of passionate hobbyists that like to share and show off their latest work. They are proud yet humble about it, and very few are actually misguided into thinking they made the hottest model around. The sad thing is that sometimes people will judge or mock winning models, based on unflattering pictures, claiming that they are not “worthy”. These people seem to forget that winners did not demand to win, nor did they proclaim they were the best; they simply were picked by judges. Pride in one’s accomplishment does not imply that one believes it superior to others. In Europe the community seems to mingle more than in America, perhaps because the distances are greater between painters in North America. Internet has lessened this gap, but I do feel that Europe has had a head start by meeting and exchanging on the hobby. The historical scene is also more prevalent in Europe, and I am sure that it has helped fantasy painters progress. I also think Europe has more painters. In north American, painting toy soldiers is somewhat frowned upon by “the cool kids” and is generally marginalized. Is that so in Europe? The turnouts are bigger at European Golden Demons, and that means more great entries. Additionally, what the world sees and judges are pictures of models, and sometimes the pictures are unflattering or the judging is made to favour a certain style or tendency (GD is a GW marketing venue after all). I have often seen models of greater technical skill and inspiration set aside for models less impressive, but perhaps more suited to the GW ethos – and those are the models the world sees. That being said, there are gems and surprises everywhere in the world, and I do feel that some of the best in North America can stand with the greats of Europe. Outnumbered, yes, but not entirely unmatched. Volomir: Can you tell us something about your upcoming projects? Vincent: I can tell you of the projects in my mind, yes, but with no guarantee they will ever be completed! The warboss on a bike is a project I sketched 4 years ago and only got around to build and paint this year. I just finished a small dark eldar force, and am considering a necron army. On the competitive painting scene, I may end up making a project for display only, with no gaming intentions. I have a diorama in mind involving 2 clashing Dreadknights (one Greyknight and the other a Khorne conversion). Another diorama I have in mind would involve an ork bullying grots, but the details are secret! I also hope to finish my witch elf sculpt, and I have on my shelf a half-converted Ogre Stonehorn I recently picked up. Which one I will complete next is anybody’s guess. Volomir: And finally, last but not least. Everyone has started from the bottom and I’m sure any painter new to the hobby is eager to hear some counsel from you. Do you have anything to say to help someone who is starting now and would love to get to paint like you someday? Vincent: If you are starting out and truly are dedicated to elevate your painting, then I want you to understand that you can. I am not an artist, I am an Engineer, science is my thing, certainly not art. But what I lack in talent I make up in dedication and hard work; I am sttuborn like no other. As you say so accurately yourself, no one starts a pro Natural talent will make you learn faster, yes, but hard work will see you through just the same. Do your best on a model, then ask other painters to give you advice on where to go next. 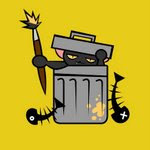 Don’t rush, and do not accept “good enough”, go back and fix the mistakes, improve that model. Don’t be discouraged, painting great models takes time, but the more time you put in the better your models and the more you learn. Naturally, you will improve, become faster and that will give you the motivation to push forward. Remember that the only way to get to the next level of painting is to attempt it; no one hits a target above where they aim, so aim high. But you have to want it, and really be serious about improving. The hardest time is at first. As you gain experience and learn techniques, picking up new techniques becomes easier. Now enough reading about me, get back to painting your miniatures! Thank you very much Vincent! What a great interview filled with awesome thoughts about the hobby and how to improve our level of painting if that is what we are looking for. And remember, keep painting whatever happens! Stay tuned to the blog to see more interesting interviews about the hobby! Excellent interview, great miniatures. More things like that, please. Keep these interviews coming! Very interesting read! Great interview. Was a joy to read over coffee. Looking forward to more. thank you, it's very inspiring and helpful information.